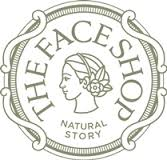 THEFACESHOP is a beauty destination offering affordable prices on high-quality products made with the finest ingredients from nature to enhance every woman’s natural beauty. THEFACESHOP brings you the benefits of nature to meet all your beauty needs. Browse a collection of leading skincare and Korean beauty products. Show yourself some love when you visit THEFACESHOP today at CF Fairview Park in Kitchener.